Innovation has become synonymous with the E-Class—and rightly so! The 2017 Mercedes-Benz E-Class Sedan’s technology is nothing short of cutting-edge, from a large in-dash display on which to manage your media, to intelligent driver assists, to touchpad controls. If you’re a luxury enthusiast, as well as a technology buff, we’re confident you’ll love the Mercedes-Benz E-Class Sedan’s technology lineup. Read on for more on what you can expect! COMAND® lets you control media and navigation via a 12.3-inch display screen and a console-mounted controller with a rotary knob, one-touch buttons, and a touchpad. New E-Class Sedans equipped with this system automatically report hazards to a central notification system, which alerts nearby E-Class drivers via the in-dash display. If PRESAFE® senses a probable accident, PRESAFE® Sound emits a “pink noise” to protect occupants’ hearing from the intensity of the impact. Optional DRIVE PILOT is part of the brand’s “Intelligent Drive” efforts, and includes PRESAFE® Impulse Side, Steering Pilot, Active Lane Change Assist, and more. There’s never a dull moment inside the E-Class, thanks to several entertainment mediums. For starters, the 2017 E-Class comes standard with Apple CarPlay® and Android Auto™, which allow you to access entertainment apps from your phone via the COMAND® system. Bluetooth®* audio streaming connects to your MP3 player and plays music through the audio system, while the Touch Control buttons on the three-spoke steering wheel let you scroll through songs on the central screen. Even better, with optional NFC wireless charging, there’s no need to worry about draining your smartphone or MP3 player’s battery. While many of the technologies inside the E-Class are dedicated to play, others are geared toward convenience and utility. The standard COMAND® hard-drive navigation system, for example, offers access to 3D maps and points of interest, and works with mbrace® to make finding a location easier. To help you stay on course and focused, the optional Head-Up Display projects an 8-inch, high-resolution readout onto the windshield. This image puts important information, such as navigation instructions, speed alerts, and cruise control settings, in your line of sight. If you think the 2017 Mercedes-Benz E-Class technology sounds fantastic now, wait until you experience it in person! 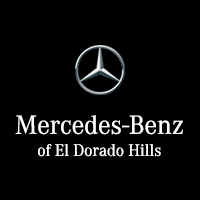 Contact Mercedes-Benz of El Dorado Hills to schedule a test drive. Our sales and finance team is available seven days a week!